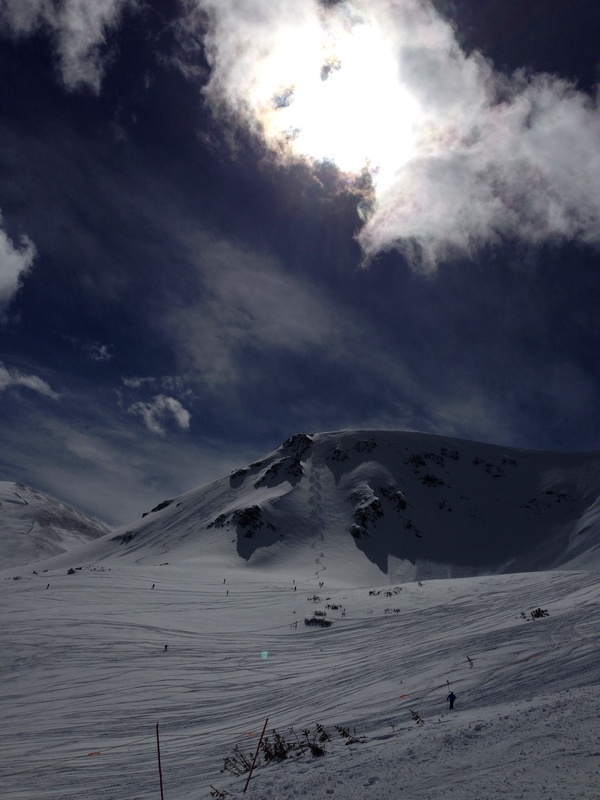 #SpringSkiing on #Peak 6 in #Breckenridge is Unbelievable! Look closely at this picture taken from the top of Peak 6. Zoom in. This is a real picture. To the author, it means that beauty can be accomplished when we refuse to set limits on what we can accomplish. Daring to dream, to push past the norm, to exceed personal limits… What does it mean to you? Breckenridge is a place where ordinary people are connected or reconnected with extraordinary dreams. Time can stand still, the soul can be renewed, and the spirit can dream again…. Quiet, hushed moments between majestic pines where soft powder muffles sounds and the skier exults in the sheer splendor of the moment. Dare to dream in Breckenridge. Make it your second home. Come back to refresh and renew, without hassle. Just relaxing and reinvigorating. Find out how to make it your home away from home. There are still some inventory available at Grand Lodge on Peak 7, but the remaining units won’t last long. If you want to own a second home at a fraction of the price on the slopes in Breckenridge, AND enjoy spring break, you really do need to get busy NOW. Pick up the phone and call Brent Henry, Senior Broker, and let him know what you are hoping for. Brent’s number is 970-485-2117. He will help you find the perfect home away from home for you. There is no better fractional real estate opportunity out there in all of Summit County, just ask the owners at Grand Lodge on Peak 7! This entry was posted on March 2, 2014 by elevatemarketingaz. It was filed under Breckenridge Colorado Luxury Condo Sales, Breckenridge, Colorado Real Estate, Fractional Ownership Real Estate, Fractional Ownership Real Estate Breckenridge CO, Fractional Ownership Real Estate Summit County Colorado, Grand Lodge on Peak 7 Breckenridge, Colorado, Luxury Fractional Real Estate Breckenridge CO, Luxury Fractional Real Estate Breckenridge Colorado, Luxury Fractional Real Estate Summit County, Co, Summit County Co Real Estate, Summit County Colorado Luxury Condo Sales, Summit County, Co Luxury Condo Sales, Uncategorized .